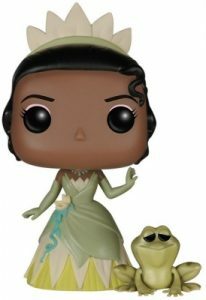 Funko Pop The Princess and the Frog stylized figures add a little Southern charm with memorable characters from the Disney film. 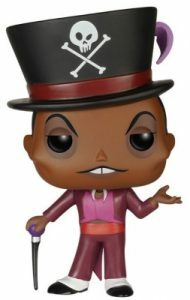 The 2009 movie sets the stage for a handful of vinyl releases. 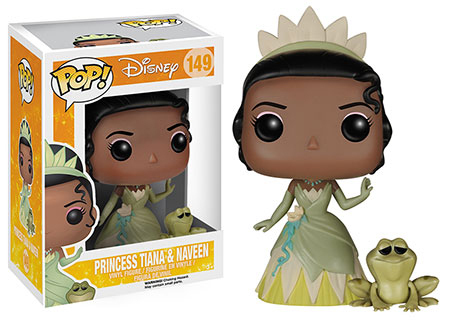 Dressed in various shades of green, Princess Tiana stands with her prince—in frog form, of course!—Naveen. The Cajun princess' dress is accented with blue ribbon and a white flower that corresponds with her tiara. 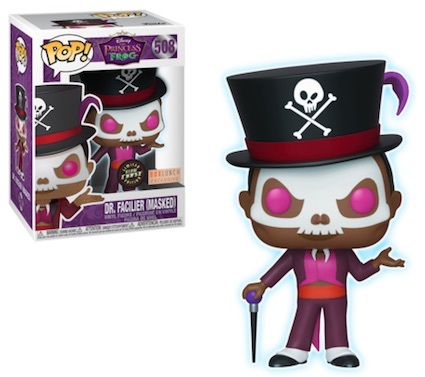 Dr. Facilier, the infamous, smooth-talking New Orleans witch doctor, sports a red and purple leather suit. 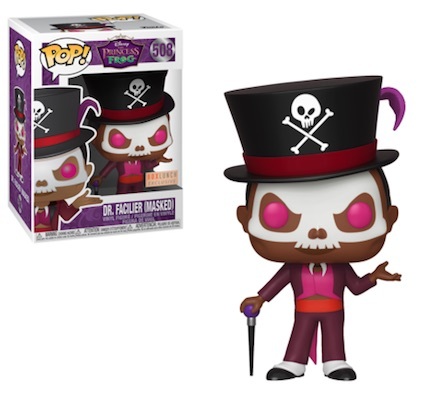 Standing with his cane, Facilier wears the voodoo talisman necklace, as well as a top hat featuring crossbones and a winking skull. 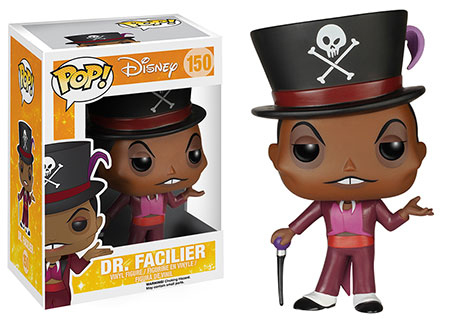 Shop for Funko The Princess and the Frog Figures on Amazon. 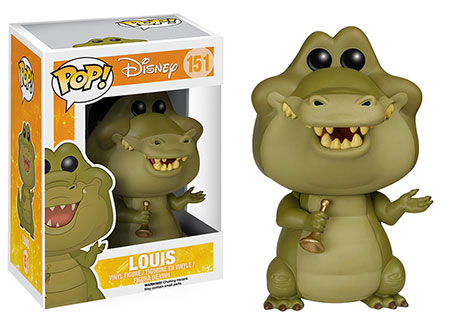 Additionally, Funko Pop The Princess and the Frog includes the lovable alligator, Louis. His sharp teeth are revealed by a huge grin as the friendly reptile holds his favorite jazz instrument, the trumpet. 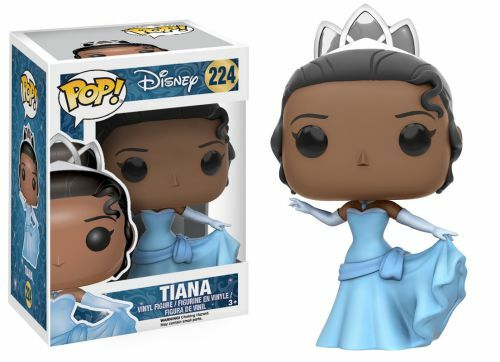 Fans and collectors can also find Princess Tiana in the customary Disney gown. Let us know if you see any more figures to add to the guide.